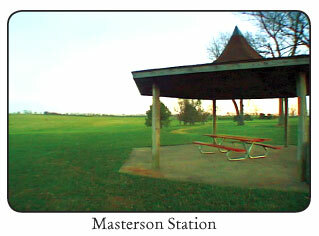 Masterson Station Park. Lexington’s largest park, once pastures for Kentucky’s first Methodist Church built in 1787. Rambling park offers equestrian facilities, a dog run, soccer fields, bird nesting areas and ample greenspace. Town Branch Greenway Phase I and II of the trail have been planned, funded and await construction. This initial two mile segment runs from Bracktown and the entrance of Masterson Station to Lewis Manor and Alexandria Drive. 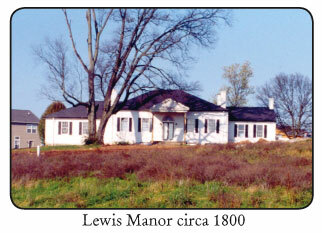 Lewis Manor. Federal-style national register home built at the turn of the 19th century by Col. Thomas Lewis, a Revolutionary War veteran. Home is adjacent to historic spring that feeds Town Branch. Wolf Run Creek. As a tributary to Town Branch Creek, Wolf Run provides a potential link for a trail into the Cardinal Valley neighborhood. Veterans’ Hospital. Handsomely landscaped campus of stately Colonial Revival medical buildings that have served the Bluegrass since 1931. Former City landfill. This site is undergoing extensive environmental clean up. Like Raven’s Run, it has the potential to provide vital reclaimed greenspace. 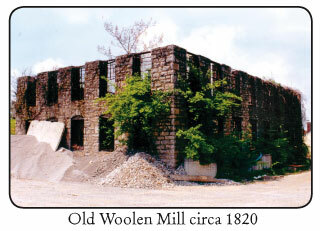 Old Woolen Mill. Built circa 1820, this large stone ruin is the oldest remaining industrial building along Town Branch. The mill later served as a jail and city work house. It is owned by the urban-county government. 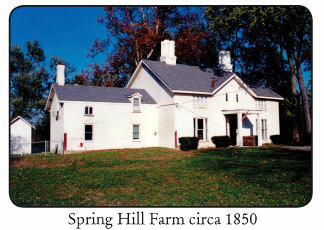 Spring Hill Farm. National register Greek Revival farmhouse and outbuildings circa 1850 encircled by a rock fence. It is owned by the urban-county government. 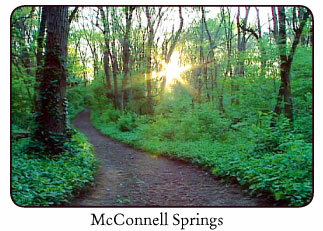 McConnell Springs. Site of the founding of Lexington in 1775. A recently dedicated city park with a engaging interpretive trail. The Blue Hole spring and lofty bur oaks afford a pleasant stroll through our unique karst topography. 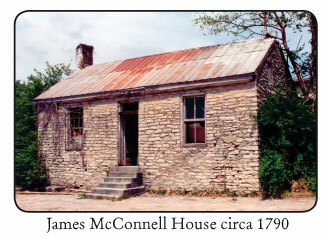 McConnell Houses. 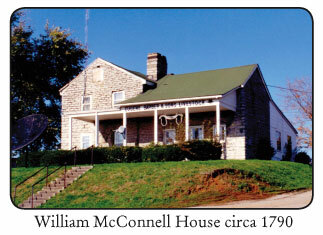 William and James McConnell, pioneer founders of Lexington, built two dry-laid stone houses circa 1790 along Town Branch Creek. These are among the oldest structures remaining in the Bluegrass. James E. Pepper Distillery. Home to “Old 1776.” One of the earliest sites for bourbon making in the Bluegrass pulled water from a neighboring spring. Large buildings used in bourbon-making remain beside Town Branch Creek. Town Branch Creek Stone Walls. Despite a century of neglect, dry-laid stone creek banks that date back to Lexington’s early history still line the stream. 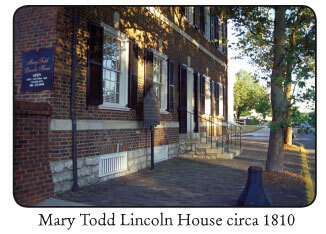 Mary Todd Lincoln House. The childhood home of one of Lexington’s most famous citizens is now a beautifully restored house museum with a formal garden. Lexington Civic Center and Heritage Hall. A premiere state venue for conventions, athletics, and entertainment. In Triangle Park a 300-foot long cascading fountain is a favorite gathering place on summer evenings. Old Courthouse and Cheapside Park. The Old Courthouse was built in 1899 on the site used for Fayette County Courthouses for 200 years. 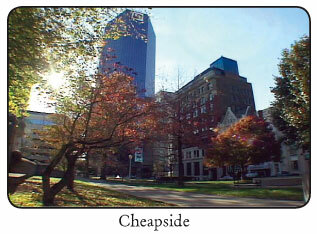 Cheapside Park has been the scene of a wide spectrum of community history from slave auctions, early schools and markets to political speeches and public riots. 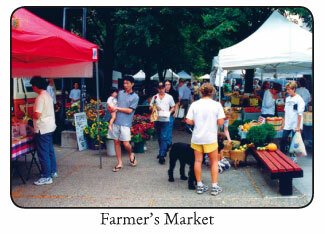 Farmer’s Market. On Saturday mornings during the growing season Lexingtonians can find the finest local and regional produce at this vibrant outdoor marketplace. Site of former 1879 Lexington City Market House. New Courthouse Plaza and Phoenix Park. New public urban spaces stand in the midst of art galleries, theatres, restaurants, and a dramatic five story Foucault Pendulum and Clock in the central library. Kentucky Theater, a 1922 ornate movie house restored as a favorite venue for live performances and movies. 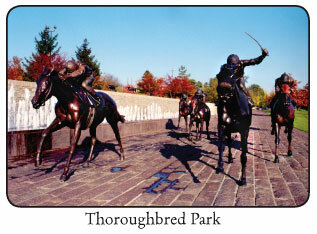 Thoroughbred Park. A linear fountain anchors elegant stone work and superbly rendered bronze sculptures of racing thoroughbreds. A rose garden awaits the winner. Charles Young Park and Goodloetown. Here the Trail will link to another of Lexington’s historic African-American settlements and to one of the city’s older neighborhood parks, named after an African-American veteran of WWI. This entry was posted in Trail Landmarks on May 5, 2004 by info.